Military members find themselves as landlords and property managers for a multitude of reasons. Some prefer to pursue their fortunes in real estate, some had an unexpected PCS and couldn’t sell quick enough, and others know their property is their forever home, but the military wanted them to see a different part of the world for a few years. 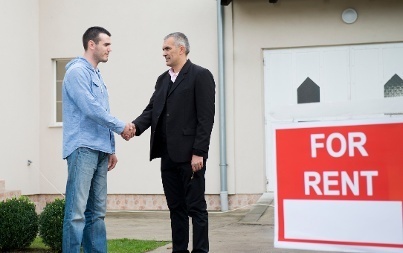 Regardless of the reason for becoming a landlord, owners have a huge responsibility to find the best possible renters to live in and take care of their properties. MilitaryByOwner has several resource guides on exactly this topic, and it’s a great place to learn about laws, expectations, and due diligence for owing a rental property. But the nuances of managing a rental come from either exhaustive preparation or experiences, good and bad. For instance, finding a comprehensive and dependable way to screen for future tenants could take several rounds of inadequate renters, but here is where SmartMove, a product of TransUnion, the credit agency, can be used to relieve some of the burden to find the perfect renter. Because servicemembers already have day jobs, property management can become time consuming and costly, especially as a long distance landlord, but tenant reports supplied by SmartMove can unveil the unknowns of a person or family who want to live in your home. MilitaryByOwner has partnered with SmartMove to set the bar high when finding potential renters. Landlords can access credit, criminal, and eviction reports that are regulated by The Fair Credit Reporting Act. Credit reports are supplied directly from TransUnion. SmartMove’s screening takes place online, allowing for a quick and secure application process. Payments for the reports are made by either the landlord or tenant. It’s the choice of the person renting the property. There are no membership payments, and landlords pay per use of the service. The applying tenant’s information is held privately, and the screening does not impact their credit score. So much of a successful property management journey is directly related to the renters who end up living in the home. Screening services from SmartMove are available to thoroughly view and contemplate renter applications before making the all-important decision as to who will be sleeping in your bedroom night after night.